This is an updated version of a website I’ve had as a side-project to my main site (frankcourtney.com). It’s mainly photos which don’t belong on my main business site – the ones I take for my own interest. I’m now in the process of moving my old “Trim Homepage” website to here. 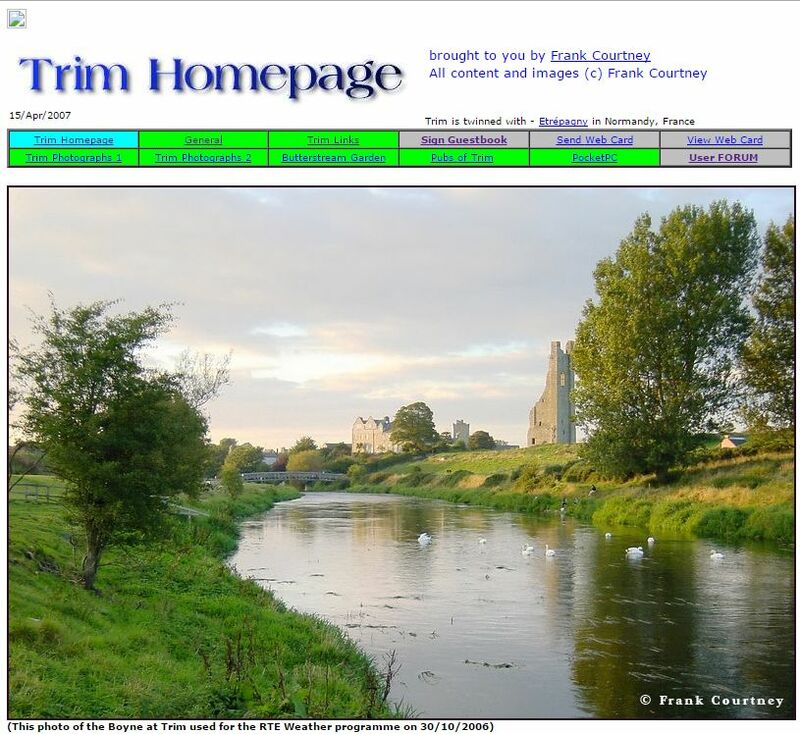 I created it many years ago (even before WordPress and Blogs existed) to display some of my Trim, Co. Meath photos and related items. It was awkward to update, and became sadly neglected. I will soon be including it in this site, with the same overall aims, but hopefully a bit more regularly updated.